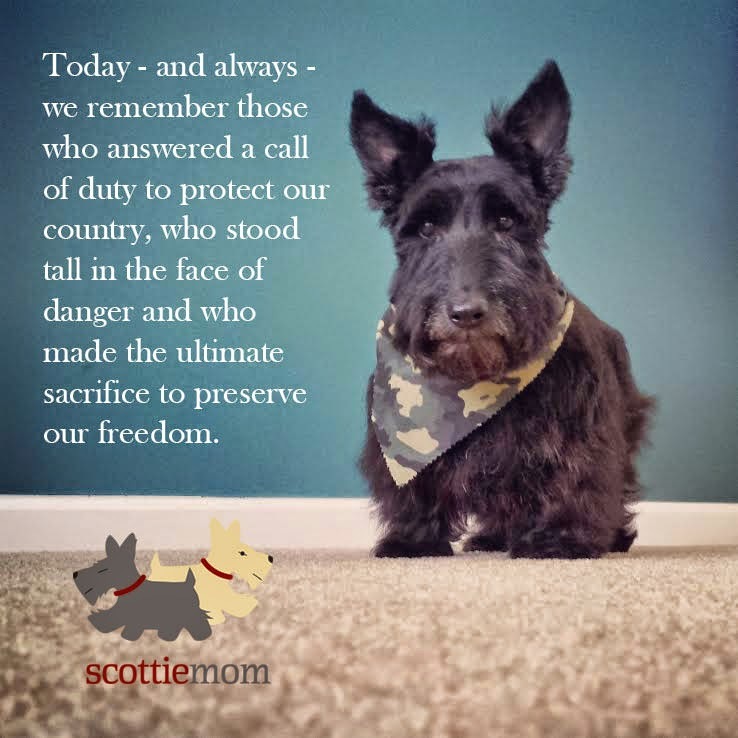 Today, we dedicate this blog post to the men, women and service animals who gave their lives so we could be free. We welcome you to honor these brave souls with stories of the people you knew in the comments section below. As you celebrate today, remember the meaning of Memorial Day and find a way to honor those who made the ultimate sacrifice. For without them, there's no telling what our lives would be like today. Please celebrate responsibly and stay safe, friends! 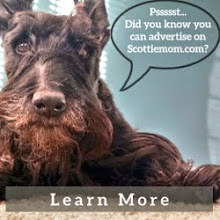 That is a lovely tribute Scottie Mom, Mr K and Heather. This is a beautiful tribute. 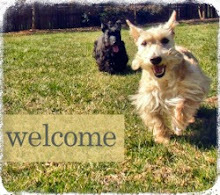 Thankfully, people did not go crazy with fireworks and terrify the dogs. 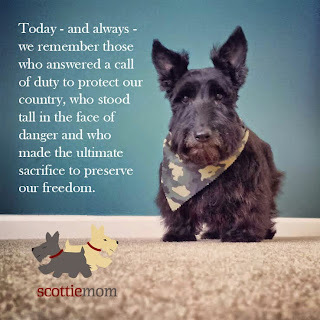 We went to a Memorial Day Service yesterday at 8 a.m. and when they played Taps I did not make a sound, I was a very good dog.